This Thirsty Thursday, Thanksgiving has hit the US. Arguments rage over how to cook, what to watch, and whether aunt Mary’s special friend more than just a friend. So we need something to render ourselves more amiable. Nothing could be more American than Madeira. Sure, these Atlantic islands are Portuguese. Yet colonial America imported over a quarter of this island’s product. The Declaration of Independence was toasted with Madeira. Rainwater Madeira starts with grapes like Tinta Negra Mole grown on steep slopes, that then ferment, get fortified with spirit like Port, but then undergo a hot and long barrel aging called estufagem. Appearance: a lovely medium intense harvest pumpkin color glints with ruby and amber and running tears. Aromas: Bold, warming aromas of dried apricot, fig, crème brûlée, and a light ash invite. 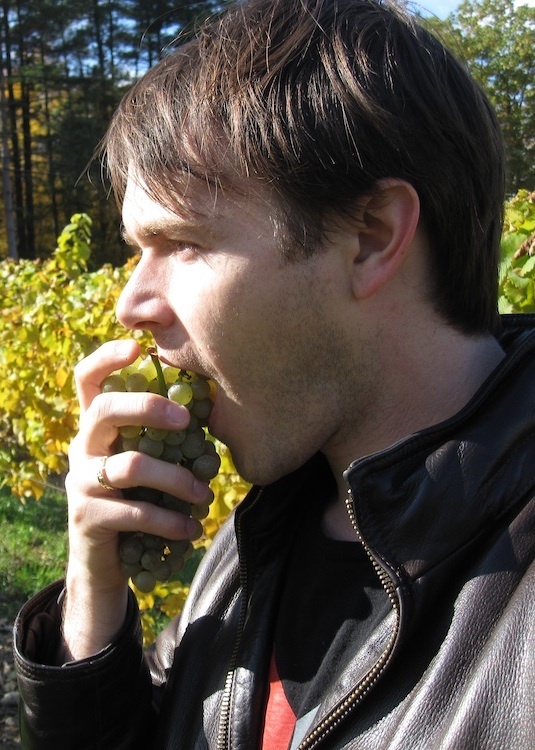 Palate: ample sweetness gets tidied up by lively acidity, mild tannins, soft but warming alcohol and a medium body. Nothing feels out of place. Flavors: Bright brambly strawberries and mouthwatering sea salt dally against slightly more mature dried apricot, cream, and light caramel. Blandy’s Rainwater feels fresh, bright, lean and lively. Yet its sweetness hides alcoholic hit that will temper the most tendentious familial disputes. Have Madeira and have a happier Thanksgiving. 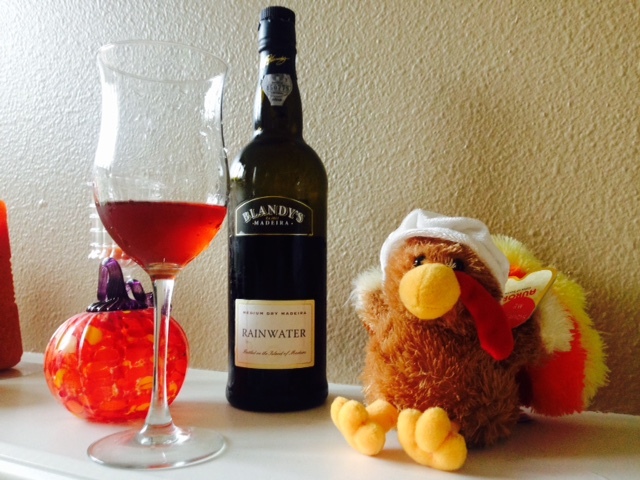 This entry was posted in Uncategorized and tagged Blandy's, estufagem, Madeira, Rainwater, Thanksgiving, Tinta Negra Mole, wine. Bookmark the permalink.